The Keep2Go is a portable PET plastic tube that can be used for different purposes. 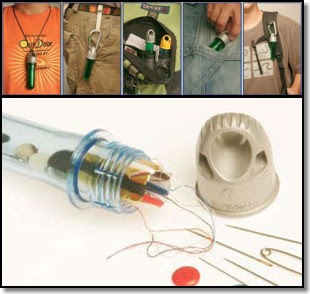 The tubes has a screw-on plastic cap that has a hole to thread a lanyward or a cord, a small lanyard with a cord lock is included. The Keep2Go is available in several sizes from 1.0 to 2.5 oz in several different colors. All the models are TSA safe and can be used to transport liquids on a plane. The containers can be also used to store food and are dishwasher safe, they float but not if you fill them with something heavy. Multipurpose plastic containers are useful for small kits, for liquids and medications and are helpful when you are outdoors and can be quite practical for swimming while holding some essentials like cash. You can read more at the official website.